In line with our commitment to responsible sourcing of wood, we ensure that the vast majority of the logs that we process are sourced from Forest Stewardship Council® (FSC ®) certified forests. The Forest Stewardship Council is an international non-governmental organisation, represented in more than 50 countries. FSC certification demonstrates that forests are managed to meet the social, economic and ecological needs of present and future generations. FSC runs a global forest certification system with two key components: Forest Management and Chain of Custody certification. This system allows consumers to identify, purchase and use timber products from well-managed forests. The FSC label indicates which of our products contain wood certified in accordance with the Forest Stewardship Council standards. From a customer perspective, the FSC label provides a credible link between responsible production and consumption of forest products, enabling consumers and businesses to make purchasing decisions that benefit people and the environment. Glennon Brothers Chain of Custody system is certified by NEPCon, which is a non-profit, international organisation focused on the sustainable use of natural resources. 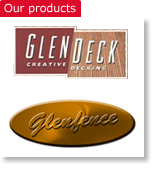 Glennon Brothers Chain of Custody code is NC-COC-014377, Controlled Wood code is NC-CW-014377 and trademark licence code is FSC-C006033. 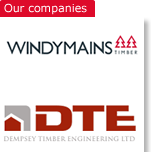 Windymains Timber and Glennon Brothers (UK) Chain of Custody system is verified by Control Union. Control Union Certification is a leading multi-sector certification body accredited by ASI (Accreditation Services International). The UK sites have a multi-site accreditation with the Chain of Custody code CU-COC-856459, and trademark licence code is FSC®-C021680. Look for our FSC® certified products.